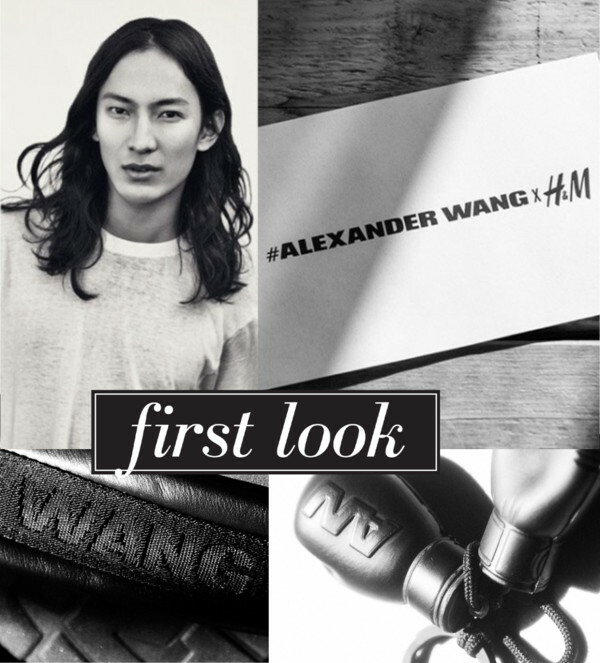 Greetings from New York City where I am at the moment for the launch event of Alexander Wang x H&M. The highly anticipated collection which had been announced back in April, will finally hit H&M stores around the world on November 6, 2014. While I am writing this post, I am enjoying the view from my room at the Soho Grand hotel. The invitation says it all. Tonight, the cocktail reception will start at 7.30pm, followed by the show, a pop-up store where we can buy the collection first hand and a live performance which I am absolutely convinced will be amazing. Do you remember Nicki Minaj and Prince playing at the Versace x H&M launch in 2011 or the amazing party to celebrate Maison Martin Margiela x H&M two years ago in NYC? We always talk superlatives. Be sure to follow me tomorrow on instagram @sandrascloset for live updates. By now you might have seen some sneak previews of the very sporty collection. The press release reveals that Alexander Wang X H&M captures the speed of the city, mixing sports and performance of everyday life. The pieces are meant to be worn on the street, in the gym, at the club – the way women and men live their lives today. 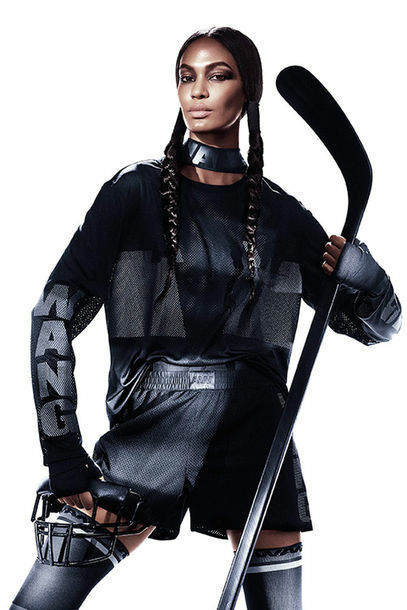 Rihanna led the way and was already spotted in a look from the collection: a stretchy crop top and leggings emblazoned with Wang’s blocky logo. In addition to apparel for both women and men, the collection includes shoes and bags, as well as “objects,” a selection of everyday items that are infused with a sense of humor and irony, as for example mini sized boxing gloves as key-rings or a whistle on a two-finger ring and for the victor, a magnetized Alexander Wang trophy cup. 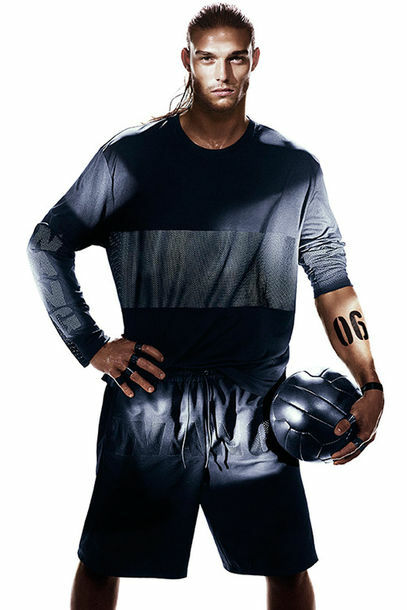 Below you can enjoy a sneak preview of the advertising campaign shot by Mikael Jansson for Wang’s one-off collaboration with H&M that features sports gear like a hockey stick and boxing gloves plus real athletes, soccer player Andy Carroll and kickboxer Rivaldino dos Santos. The female models are Joan Smalls, Raquel Zimmermann and Isabeli Fontana. I am truly excited for tonight’s event! Stay tuned for more!